Ryde is the second largest urban area on the north-east coast of the Isle of Wight. It is a seaside resort renowned for its expansive sands that occur at low tide, making its pier necessary on the beach for passenger service. Ryde Pier is the fourth longest pier in the United Kingdom, and one of the oldest. Ferries from Ryde connect the Isle of Wight to mainland Britain using the ports of Portsmouth and Southsea. Operators Wightlink and Hovertravel run the routes between the Isle of Wight and mainland Britain, and with AFerry's simple booking system you can find the right route for you.Below, you can find Ryde ferry times, as well as our best deals. 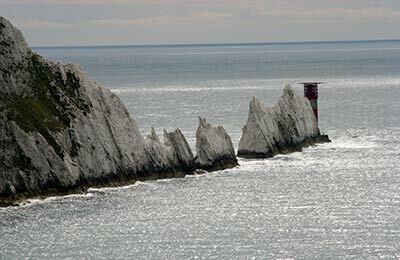 Wightlink has provided ferry services between the Isle of Wight and the British mainland for more than 160 years. The ferry operator has the fastest and most comfortable fleet on these waters and offers lots of facilities onboard, including observation decks, spacious lounges, bar and café facilities. Hovertravel are operate high speed hovercrafts which offer reliable and comfortable services even in adverse weather conditions with the journey time of less than 10 minutes. There are a number of long and short term parking areas very close to Ryde port which are operated by the local councils. Wightlink ferries leave from the Pier Head but there is currenlty no vehicle access directly to the pier, you may either walk along the pier or take the train to or from Ryde Esplanade. Island Line run many services to and from Ryde and other parts of the Island. For Hovertravel hovercraft, Ryde Hoverport is situated adjacent to Ryde Esplanade Station. For Wightlink ferries, National Rail services go directly to the ferry terminal (Ryde Pier Head Station is within the same interchange as the ferry terminal). Southern Vectis run regular services to Ryde Esplanade and around the Island. For the hovercraft, Ryde Hoverport is situated just 50 metres from Ryde Esplanade bus station. 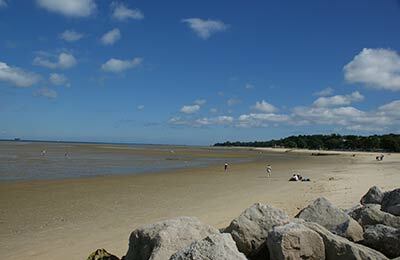 Ryde is the largest resort on the Isle of Wight situated on the North East side of the Island. It is ideally located for quick and convenient access to the Mainland and onward connections to London by train or bus. It is a seaside resort renowned for its glorious golden sands that occur at low tide, making its pier necessary on the beach for the Catamaran passenger service. Union Street and the long High Street beyond the ferry port are packed with various interesting shops, pubs and restaurants. There are also many antique and bric-a-brac with various tiny boutiques and cafes. The bus and train station can be found at Ryde Esplanade, next to the ferry ports, for fast and convenient onwards connections to all destinations on the Island. From Ryde, you can catch a hovercraft directly to Southsea Seafront, Portsmouth. Quick connections to the Train Stations and Portsmouth City Centre are provided by Hovertravel's Hoverbus.